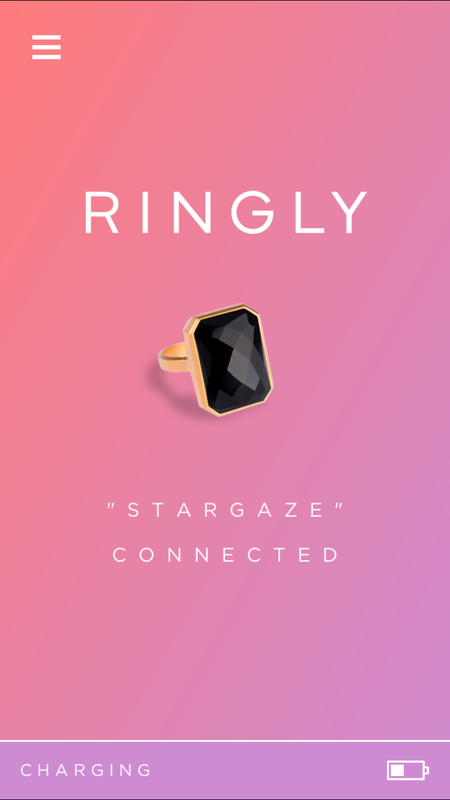 Ringly is a Bluetooth-enabled wearable device that filters through notifications on your phone so that you can put away your phone in your purse and still be notified when important messages come through. 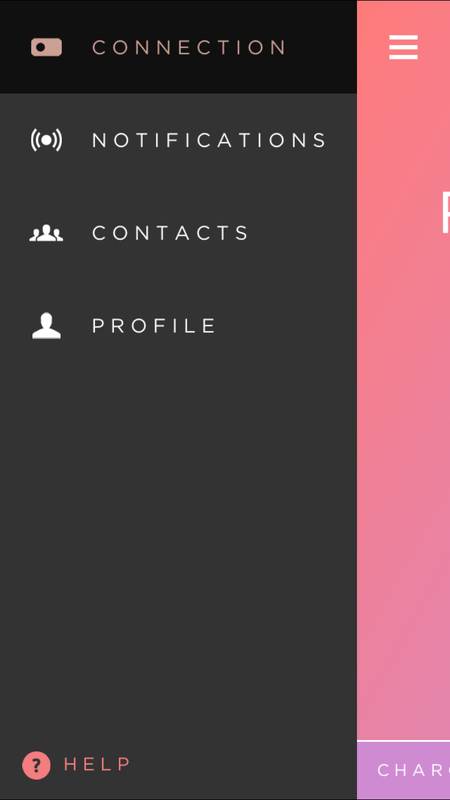 Unboxing Ringly is a beautiful, well-designed experience. The minimalistic package looks like a perfume or a soap box. 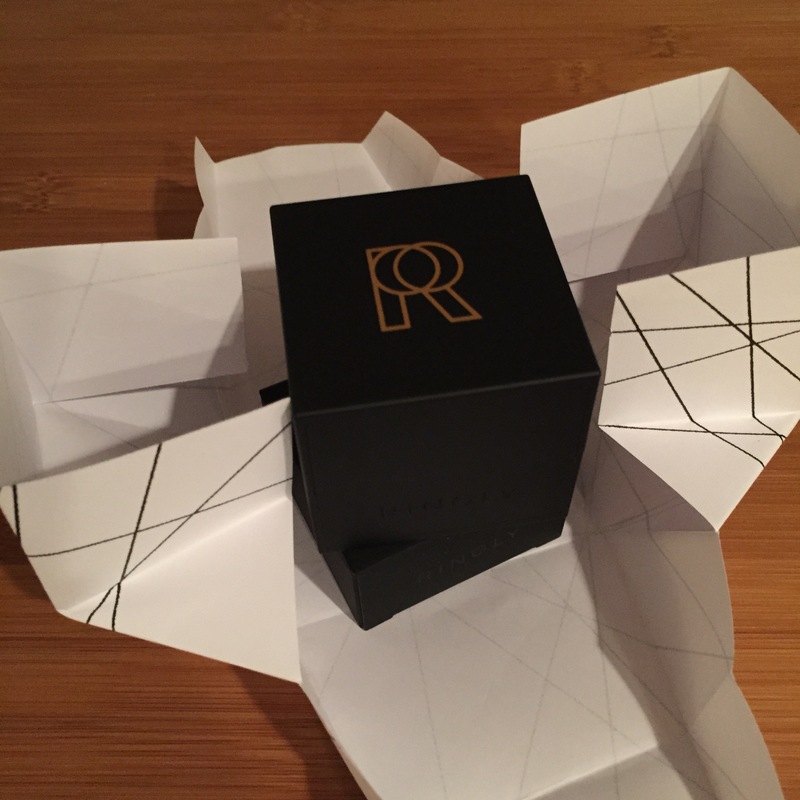 Inside the white wrapping paper is the black ring box with the big R logo in gold. 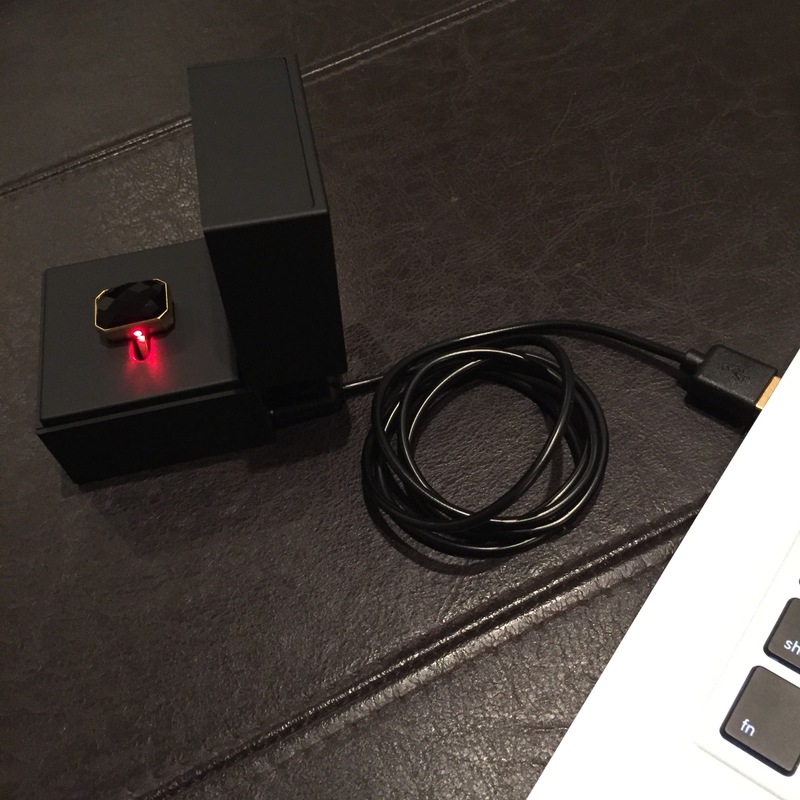 The ring box serves as a charger. 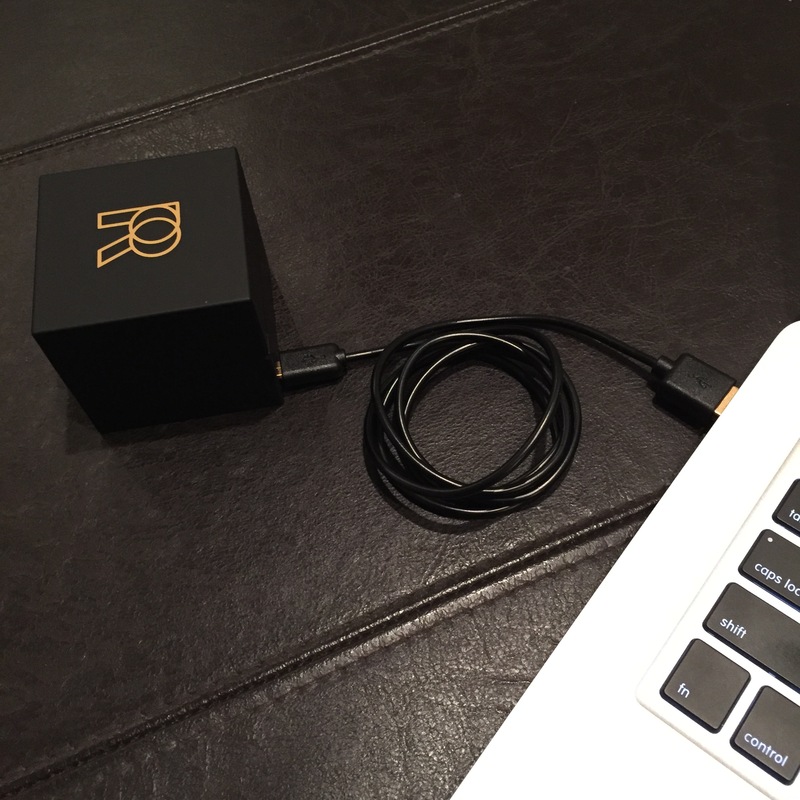 It comes with a micro USB cable in matching black and gold. With the ring in the box, you plug it into your laptop and start charging. 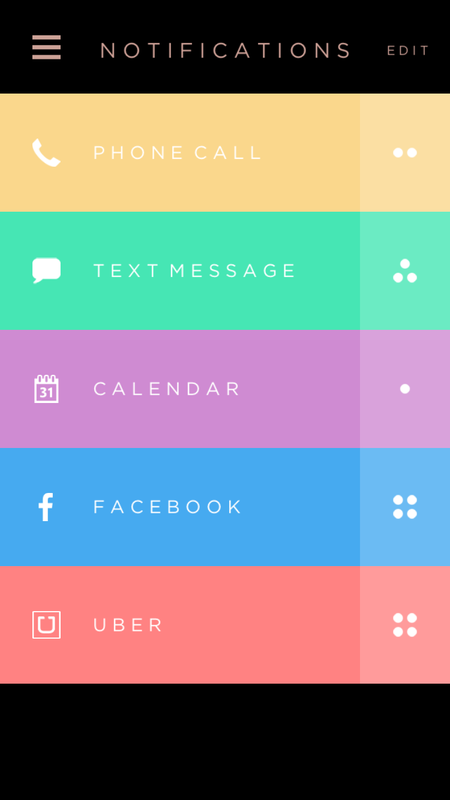 Once you install the app, you can connect to Ringly and set up your notification filters and contacts. 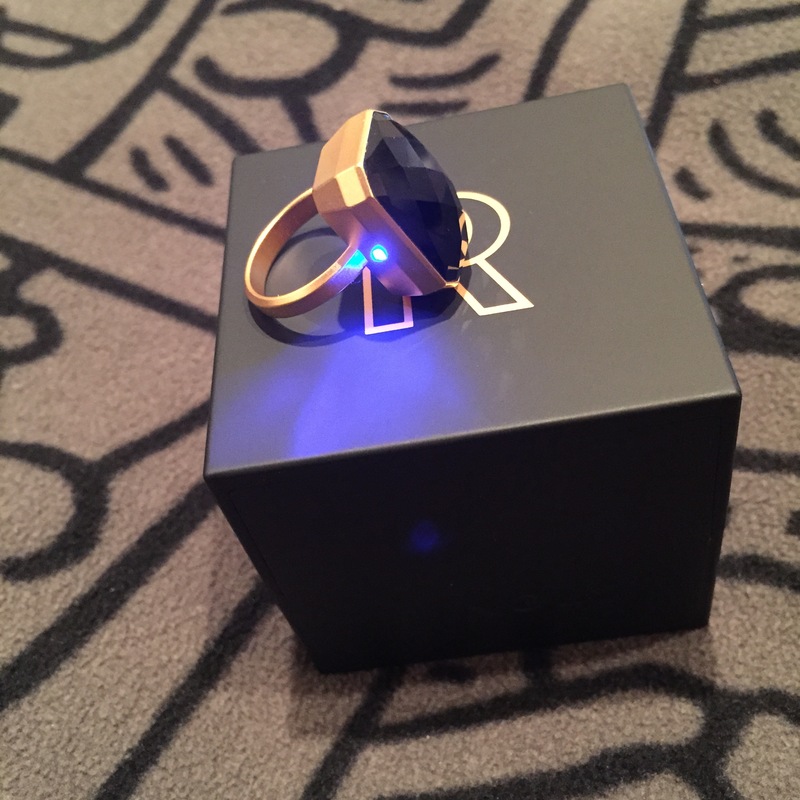 On the side of the ring is a tiny LED that blinks in red, pink, yellow, green and blue. 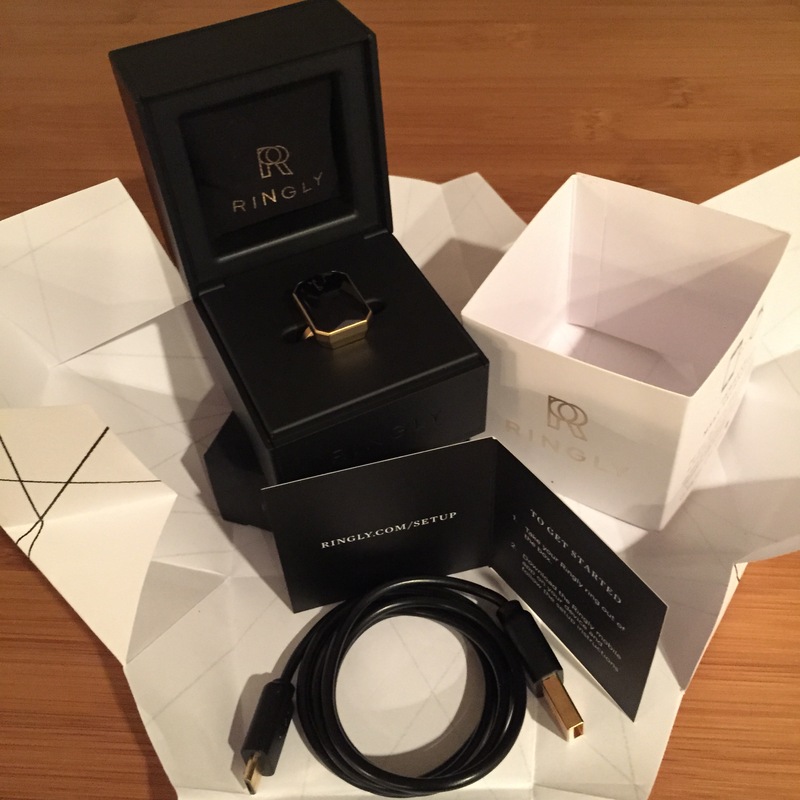 Ringly is a cute wearable device, and the whole unboxing and setup process was easy, intuitive and seamless. 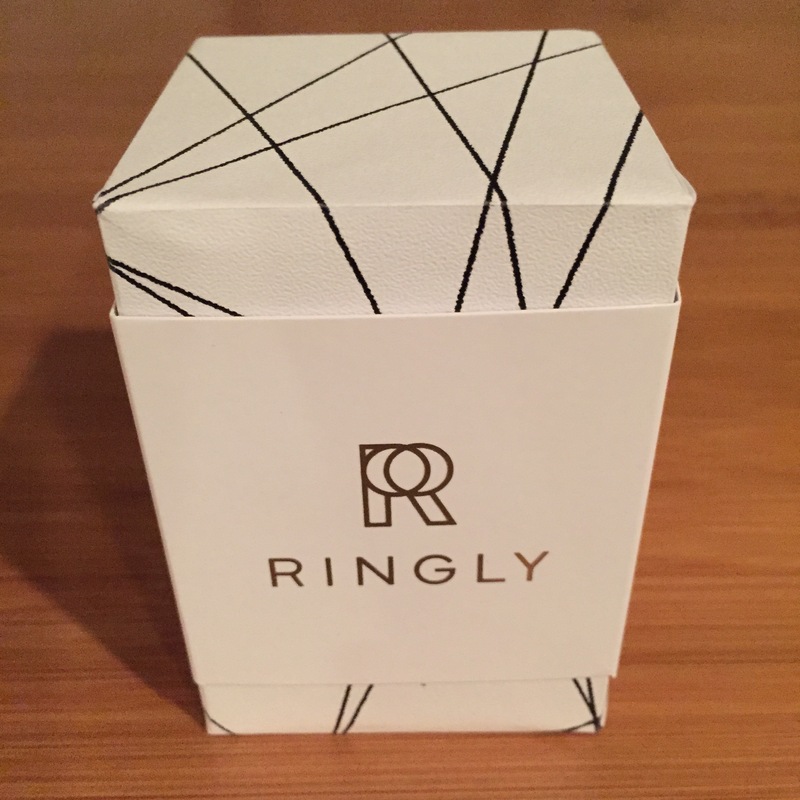 I will definitely wear Ringly and feel it out, but I have a feeling I will be wearing more and more wearables this year! 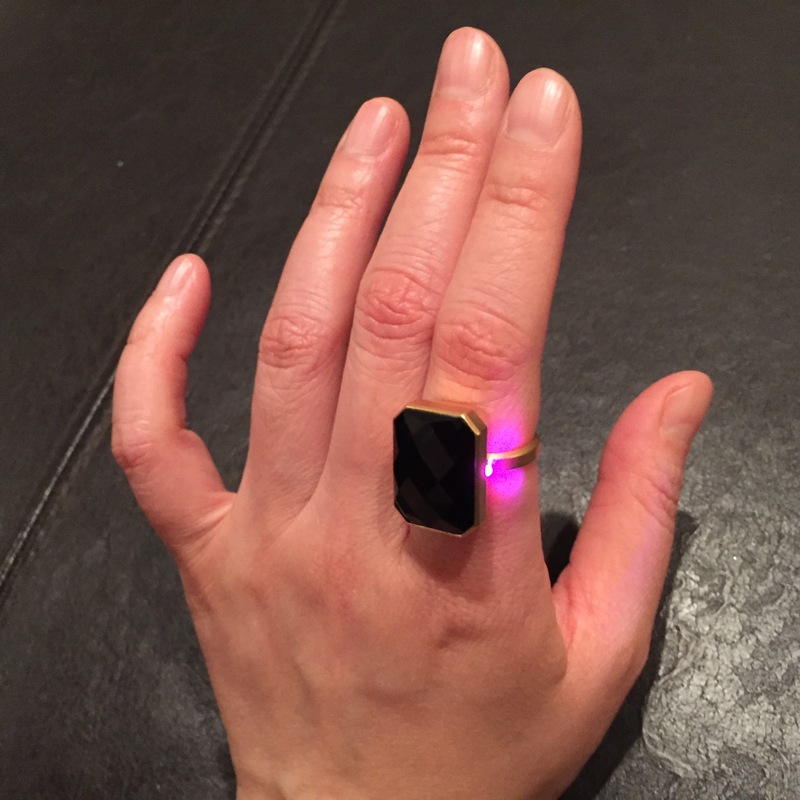 This entry was posted in Design, Life, Technology and tagged BLE, Fashion, Hardware, Wearable. Bookmark the permalink.